Can you freeze scrambled eggs? What will happen when you have it frozen? What is the best way to do it right? If you are asking these questions, keep on reading the rest of this post and I will provide the answers you are looking for. Whether for breakfast or meal at any other time of the day, scrambled eggs are popular not only because they are delicious, but also because of their being easy to prepare. In some instances, however, you may end up preparing more than what you can actually consume. When you have leftover scrambled eggs, what is the best thing to do? Do not put it into waste by having it thrown. Some might think of having it frozen. But, can you actually do this? Let us discuss it further in the rest of this post. Yes – this is the answer to the question. This is one of the best ways to prolong the shelf life of the egg, making it safe to be consumed even on a later date. If you have leftover scrambled eggs, do not hesitate to put it in the fridge. If you do not have the luxury of time to cook scrambled eggs, you can cook more now and freeze it later to be consumed in the next days. However, as discussed in the rest of this post, there is a right way of doing the process to ensure the best quality of the scrambled eggs. Knowing whether you can freeze scrambled eggs or not is not enough. The more important thing is to know how to do it properly, which is crucial in maintaining the freshness and taste of the scrambled eggs. The first thing you have to do, obviously, is to cook the scrambled egg the way you want it. You can add salt and spices to make it flavorful. Avoid overcooking the eggs. Also, before you start with the freezing process, see to it the scrambled eggs have already cooled down. It would be best to use a plastic freezer wrap. Alternatively, you can also consider using small plastic containers depending on the portions of the scrambled eggs you have to freeze. Wrapping it with an aluminum foil is also a good idea to prevent freezer burn. It is best if you can mark the plastic with a date when it has been wrapped. This will make it easy to monitor its freshness and to know if you can still eat it. As a rule of thumb, the scrambled eggs can be frozen only up to two months. Once finished wrapping, now is the time to put it in the freezer. Make sure to stack the wrapped scrambled eggs properly. Do not put anything that is heavy on the top of the eggs as this can damage it. When it is time to eat your frozen scrambled egg, there is also a process that you should follow. You cannot just eat it right away after taking it out of the refrigerator. You have to thaw and reheat it properly to enjoy a better taste and texture. If you plan to eat the scrambled eggs the next morning, take it out of the freezer the night before. Let it cool at room temperature. By the time you wake up, it must have fully thawed and now ready to be reheated. Make sure to heat it as soon as possible. To reheat the eggs, you have several options on how to do it, including using a stovetop. Place the eggs in a nonstick frying pan seasoned with a small amount of oil. Reheat the egg in medium flame. You can also add seasoning if you want to improve its taste. Alternatively, frozen scrambled eggs can also be reheated in the microwave. Place it inside a container that is microwave-safe. Cover the container and start microwaving for up to one minute. Reheat longer if it seems like the eggs are still not as hot as you want them to be. Earlier, we discussed how you can freeze scrambled eggs that are cooked. However, you also have the option to freeze them when they are uncooked. When this is done, the eggs can last up to one year in the freezer, but it is best to cook it within three to six months. Crack the eggs and mix them in a bowl. Add a dash of salt or sugar for seasoning. Aside from adding flavor, this also helps to prevent having a gel-like consistency after it is thawed. Place the eggs inside a Zip-Loc bag. Seal, put mark with the date, and freeze. 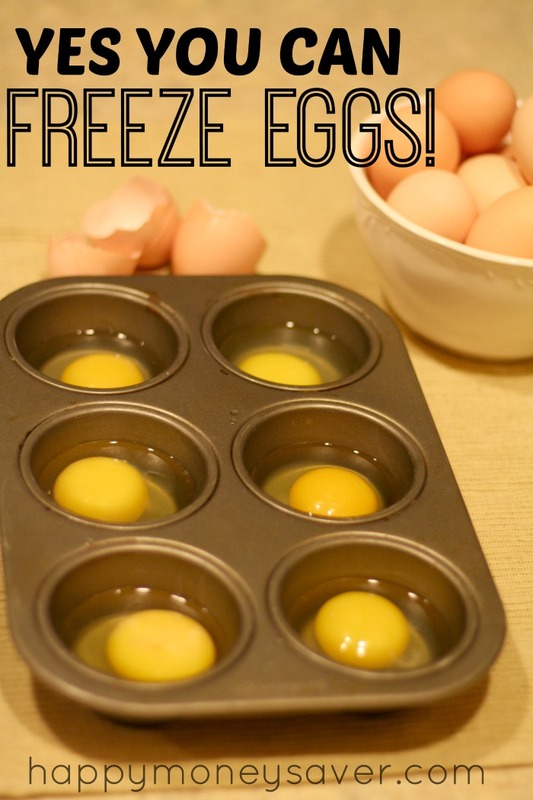 Yes, you can freeze scrambled eggs, whether they are cooked or uncooked. 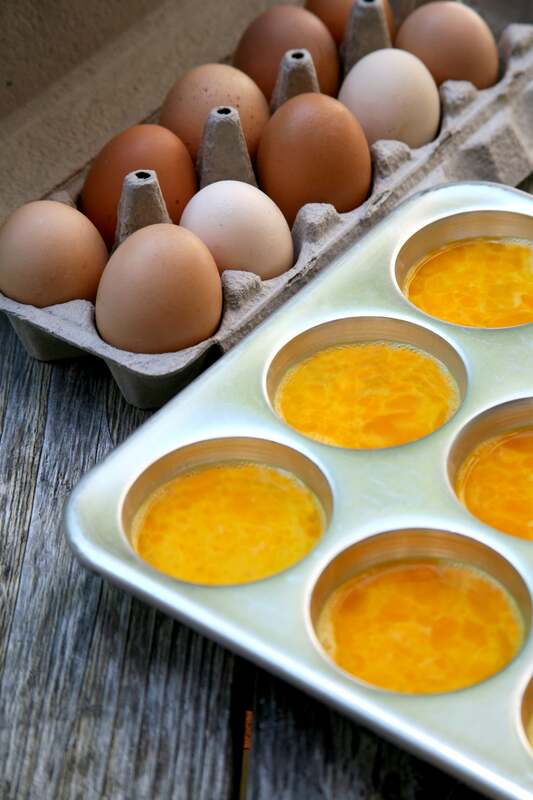 Pay attention to proper thawing and reheating of the egg to ensure the best flavor and texture. Do not forget to put a date on the bag to ensure its freshness. Cooked scrambled eggs can be stored for up to two months. Uncooked scrambled eggs, on the other hand, can be frozen up to one year. Did you learn from this post? Do you have any other tips or insights to share? Feel free to leave a comment below.